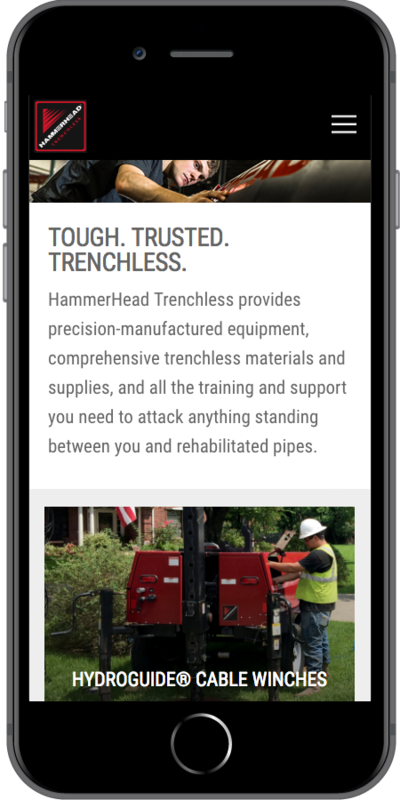 HammerHead is a trenchless equipment manufacturer, a division of Charles Machine Works, and serves the underground construction industry. 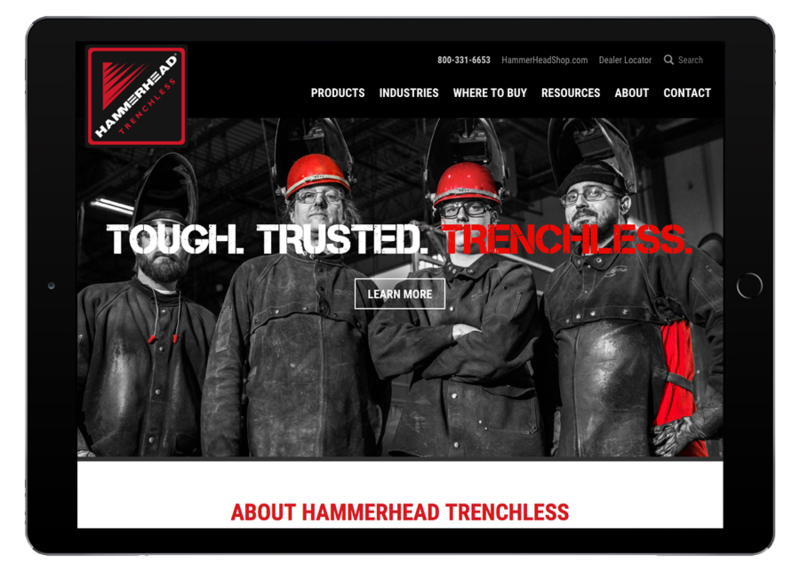 Previously working with our team to update their ecommerce portal, HammerHead engaged Starkmedia to design and developer a new brand site to communicate complete product catalog and service offerings. 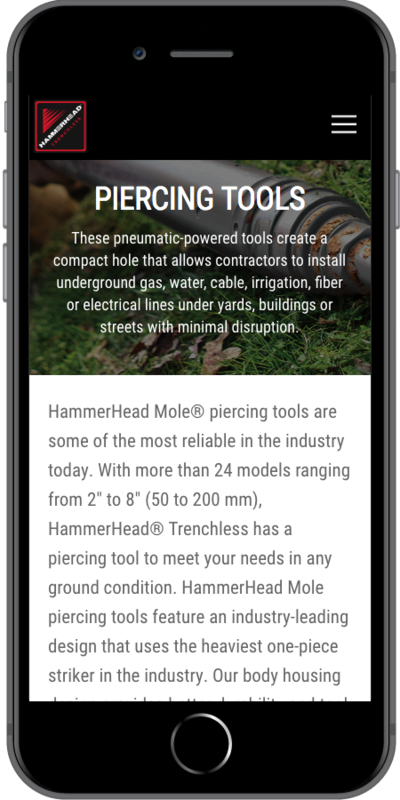 By replatforming to the Drupal content management system, our team was able to deliver a streamlined authoring experience for a complex product offering and improved marketing experience. 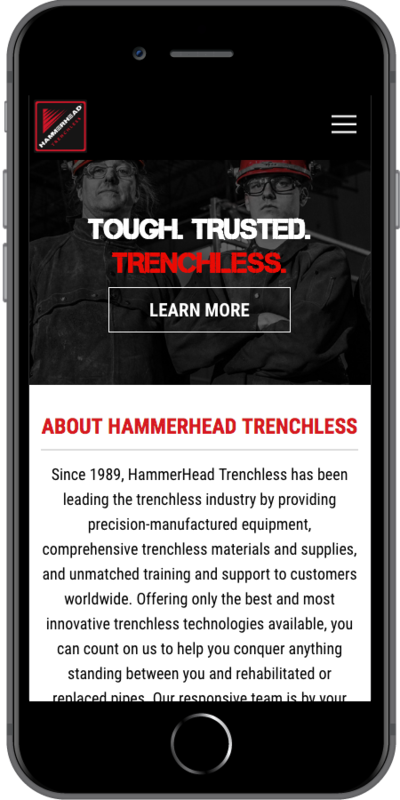 An updated responsive design has created an intuitive user experience that effectively delivers product information across all devices and communicates messaging to their markets served to improve performance in natural search. 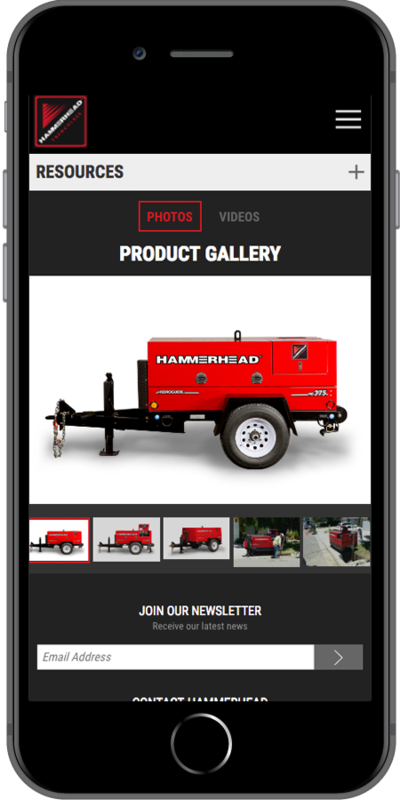 The Drupal platform was also customized with an enhanced administration theme and programmed to consume a live feed of dealer information to better direct customer inquiries. Learn more about the platforms and integrations involved in this project.